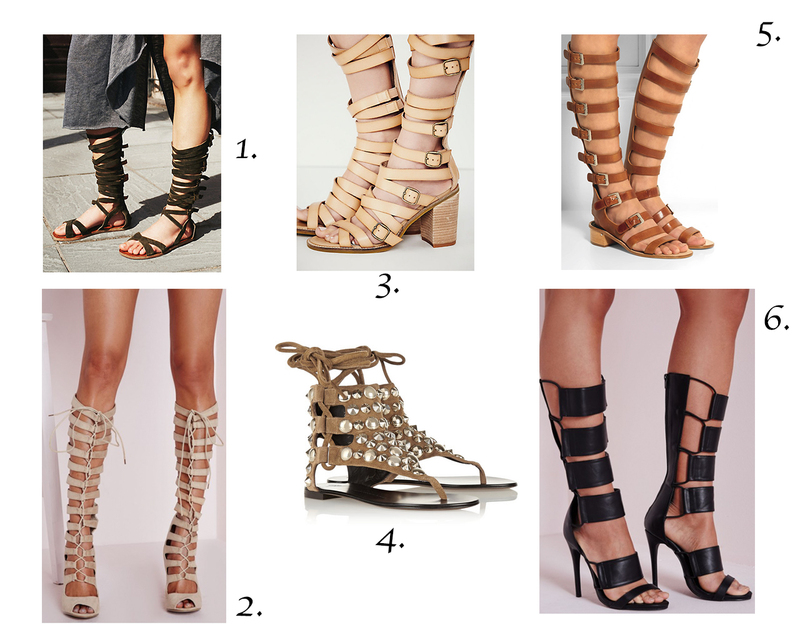 Gladiators are the hottest trend of the season and are here to stay! Get your sizzle on with one of these strappy styles. Whether you need a flatter sandal or a sky high stiletto, channel your inner warrior with these beauties. 1. Black suede 10693 INR. 2. Biege stilleto's 45 GBP. 4. Studded flats by Zanotti available here on sale. 5. Tan gladiator's available here. 6. Black heels 50 GBP.